Signs Visual manufactures and prints standard construction signage in New York, NY. Our contractor signage includes all regulation sign required graphics in NYC including work in progress signage, dob signs, dot signs, 311 signs, what's going on here signs, insert address here signs, no smoking signs, sidewalk closed signs, and more. Our construction signs are temporary and can be made in either a thin metal, plastic, or vinyl banner material. 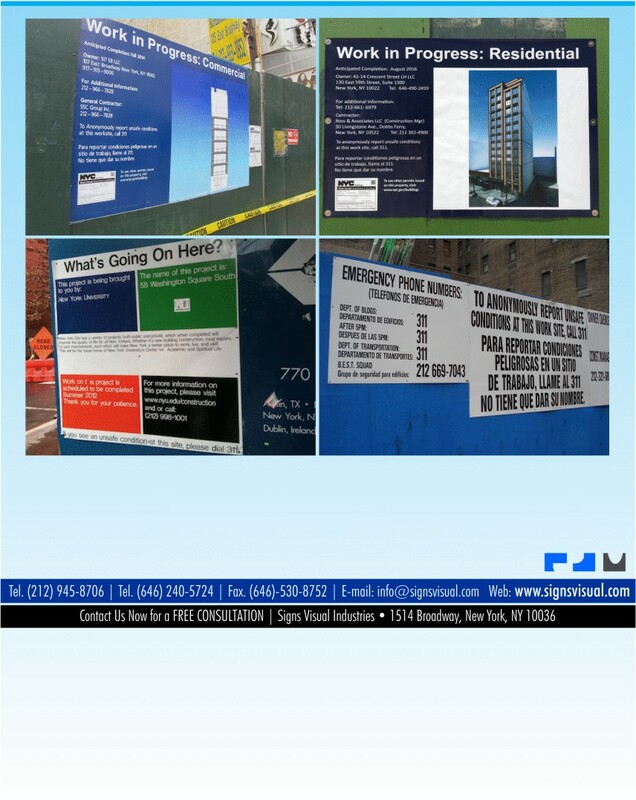 Contact us today for your free quote on construction signage in NYC!